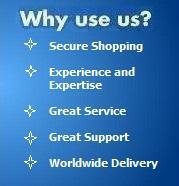 FreeStyle Lancets are made from very thin, 25 guage stainless steel for comfort, and steralized for your protection. Freestyle lancets fits on FreeStyle Freedom Blood Glucose Meter, FreeStyle Lite Blood Glucose Meter, FreeStyle Mini Blood Glucose Meter and FreeStyle Blood Glucose Meter. 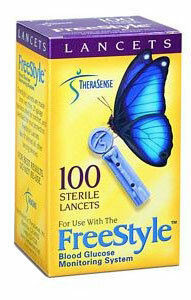 Freestyle Lancets 200 to see the larger box.